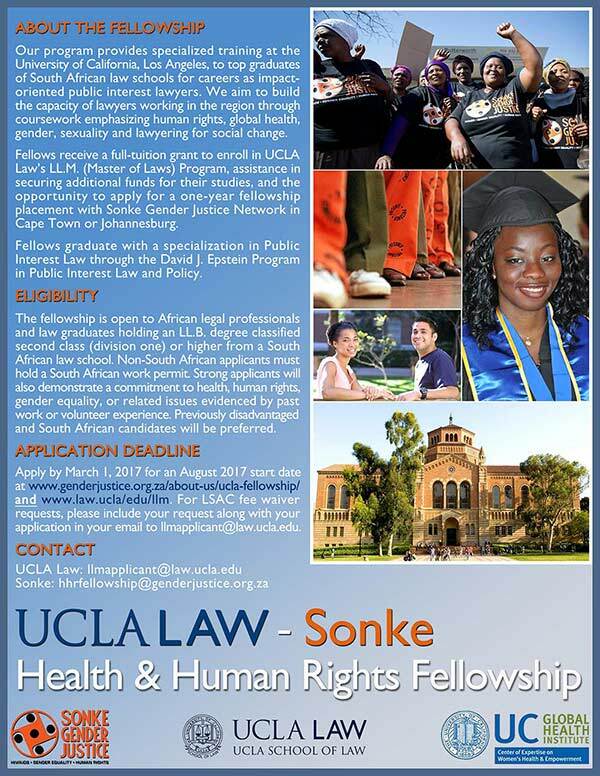 University of California, Los Angeles School of Law (UCLA Law) and Sonke Gender Justice Network (Sonke) announce the launch of the UCLA Law – Sonke Health & Human Rights Fellowship. Commencing in August 2017, the programme will provide specialised training to top graduates from South African law schools for careers as impact-oriented public interest lawyers in the areas of health, human rights, HIV prevention, and gender equality. The fellowship offers a full-tuition grant to enroll in UCLA Law’s Master of Law Program (LL.M. ), assists fellows in securing living and travel expenses for their studies, and offers the opportunity to apply for a one-year fellowship placement with Sonke’s Policy Development and Advocacy unit in Cape Town or Johannesburg. Fellows will enroll in UCLA Law’s David J. Epstein Program in Public Interest Law and Policy (PILP), and through its workshop and seminars, will meet PILP students and faculty and study the problem-solving challenges faced in public interest legal practice. Fellows will examine the principal skills and conceptual approaches useful to public interest lawyers in the PILP seminar, Problem Solving in the Public Interest. Through the course, Human Rights and Sexual Politics, fellows will interact with students from medicine and public health, and conduct legal research and advocacy for Sonke. Each UCLA Law – Sonke Health & Human Rights Fellow will also elect other related courses and author a substantial writing assignment on a health, human rights, and/or gender equality-related legal issue facing South Africa. To prepare for American legal study, fellows will take a summer introductory course, American Law in a Global Context, and will be able to access ongoing tutoring through its existing student support programmes. Upon completion of the LL.M. degree, each fellow will have the opportunity to apply for a yearlong fellowship placement with Sonke in South Africa. 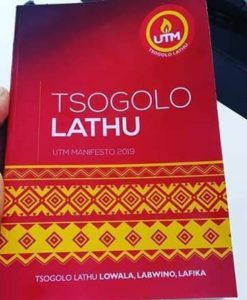 If awarded, the fellow will undertake cutting edge law and policy research addressing the gender inequality dynamics driving the spread of HIV, and examine how to engage women, men, girls and boys as stakeholders for gender and health equity. For more detailed information about the fellowship, please download the brochure.